This month’s Old School Blogging (with the lovely Elaine and her co-host Tamara) is all about Valentine’s Day. My heart doesn’t really get all aflutter with the prospect of that Hallmark Holiday coming up, but there are fun parts, so I thought I would play along. I wouldn’t say what we do qualifies as “celebrating.” Sometimes Cortney and I will get each other a card or something, but it’s only if the spirit moves us. Neither of us really expect anything different from Valentine’s Day than any other day of the year. Since having kids, though, I do like to get cutesy about love. We will probably make some heart-shaped cookies to share with our friends (because we love them) and Eddie and Charlie will each get a heart-shaped box of candy and I will make red jello for dessert on Friday. I like all of these things any day of the year…maybe not all at the same time. Oh who am I kidding, it’s not like I would turn any of them away! No. I am not a cuddler. In fact, my personal bubble is rather large. I do like to cuddle with my kids and I’ve been known to stretch out with my feet in Cortney’s lap, but I don’t like to be touched when I am falling asleep or hugged on when I am doing something else. No exceptions for Valentine’s Day either! It is hands down When A Man Loves A Woman. I am not much for chick flicks, but this one…oh it gets me feeling all the feels. Yes. It happened with both of my boys. The first time I saw both of them I was theirs forever. Yes and No. Love alone will not, as the Captain and Tennille claimed, “keep us together”. More had to go into relationships than just love. That all being said, I do believe love erases hate. Living your life for love rather than hate heals more than what you will ever know in your life time. There are lots of things, but one thing I love most about him is that he truly sees our partnership–our family–as a team effort. No one keeps track of what they are “owed”. You support the team. No matter what. Because of his attitude, I never feel alone or like I am in this by myself. I’ve never had a “perfect” Valentine Date. I guess it wouldn’t be that much different than just a perfect date…a good movie, a box of popcorn, and a nice dinner after. Then home to our sleeping kids. Oh my. I think my very first crush was on a boy named Chris when we were in the fourth grade. It was the typical story of boy and girl are meanish to each other because they like each other. Like when he threw a magnet at me and I told him his Bart Simpson sweatshirt was stupid. Oh young love. I’ve dated some winners, that’s for sure. Probably one of the lamest thing that ever happened to me was on Valentines Day. A guy I had a crush on in college, and who worked with me in the dorm cafeteria, asked me out for Valentines Day. He picked me up at my dorm ten minutes late, didn’t have a reservation anywhere, so we ended up waiting over an hour at Applebees of all places. Then he stopped at the liquor store on the way back to my dorm for a six-pack (he was 21. I was just shy of 19). He proceeded to drink two of the beers while we watched MTV and then he fell asleep on my floor. Yeah, we didn’t go out again. something with caramel in it. I love me some Tom Hanks and Rita Wilson. I’m pro-love. I don’t need Valentine’s Day for that, but it’s fun for the kiddos. Totally all in. Because John Cusack. “Objects of Affection” is cheesy, but if we are talking about Cortney, the first thing I notice each day is how he never fails to make me my two fried eggs. He wants to make sure I start my day with some protein in my tummy. 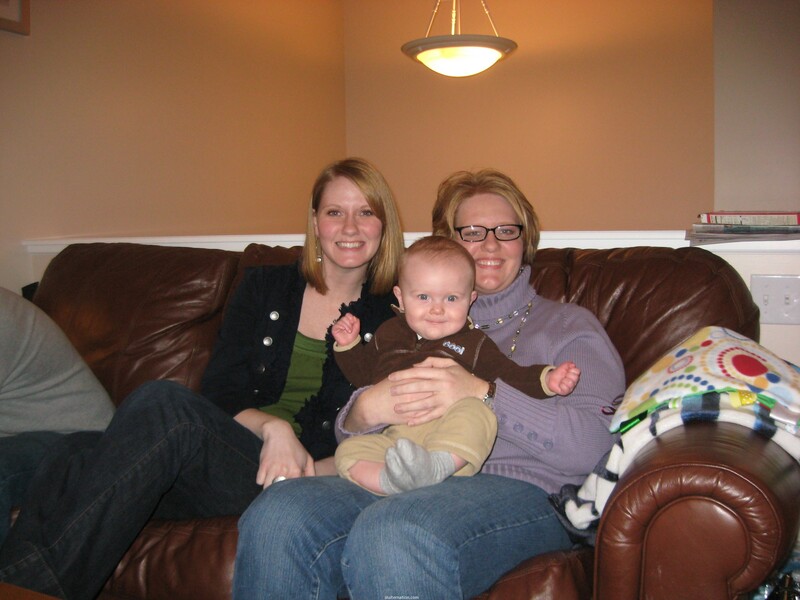 I don’t know about gifts, but the year my best friend, Tonya, was in town and my dinner dates that night were Tonya and her husband Jeremy, Cortney, Tonya’s sister (my friend, Tammi), and my little Eddie. That was a great Valentine’s Day. And not just because Cortney bought us a Snicker’s ice cream pie to split. I don’t know what tomorrow will bring for me, but I do know all three of my boys will get surprises from me…because I love them sort of a lot. I like what you said about living with love, not hate. I’m not big on Valentine’s Day, but I’m big on love every day of the year. I’m not a fan of Valentine’s, but we exchange cards, he buys me and our girls flowers and I always get him something. The kids are big on heart shaped pancakes and anything with pink frosting. On the cuddling, yes, me too. I need some space. My kids 100% ignore this, which I secretly love. I love your take on love at first sight. That certainly does happen! Probably a billion times more than romantic love at first sight. And Ben Folds – can he do no wrong?? LOVE him. A box of popcorn alone would be enough of a Valentine’s Day for me! Tamara recently posted…Time To Get Juicy With Valentine’s Old School Blogging! Awesome. And I love those last pictures at the bottom – the blue and the pink of the flower. I like Tom Hanks too, and sadly had a very similar date (or two, or three) in college. OMG Song for the Dumped. Perfect. I love what you said about love erasing hate from your life. So true. One more thing – the being hugged on while you’re doing something else thing. I get that, totally. Enjoyed your thought on love erasing hate. I’m a Valentine grinch/scrooge, but definitely an every day cuddler with my husband. I absolutely ADORE what you said about “love at first sight” with your boys. That is THE sweetest. Hope you have a “sweet” Valentine’s Day!! Elaine A. recently posted…Valentine’s Old School Blogging! Last weekend, I found When a Man Loves a Woman on TV and sat on the couch watching it straight through from beginning to end. Yep. Love is messy and beautiful and hard. And when Valentine’s Day rolls around, I’m just fine with a little chocolate and champagne. I am all about love, so any Holiday that celebrates it can’t be all bad, right? But still don’t go all out for Valentine’s Day – because we should show our love and appreciation every day. I love tulips, too. I have some in my front yard that come up every spring – I am always so happy to see them. I am not a crier (or a cuddler), but I totally bawled my eyes out during When a Man Loves a Woman. Great pick. Tom and Rita are a great hollywood couple pick. I love your bad date story, I think we’ve all had one of those. Great answers, especially about loving your boys on first sight. I wasn’t thinking about it that way. Like you it was love at first sight when I saw my 2 boys the very first time.